I am by nature a fly fisherman but recently started to bass fish a pond on private land that I have permission to fish in. I have been doing fairly well but today was way beyond my expectations. 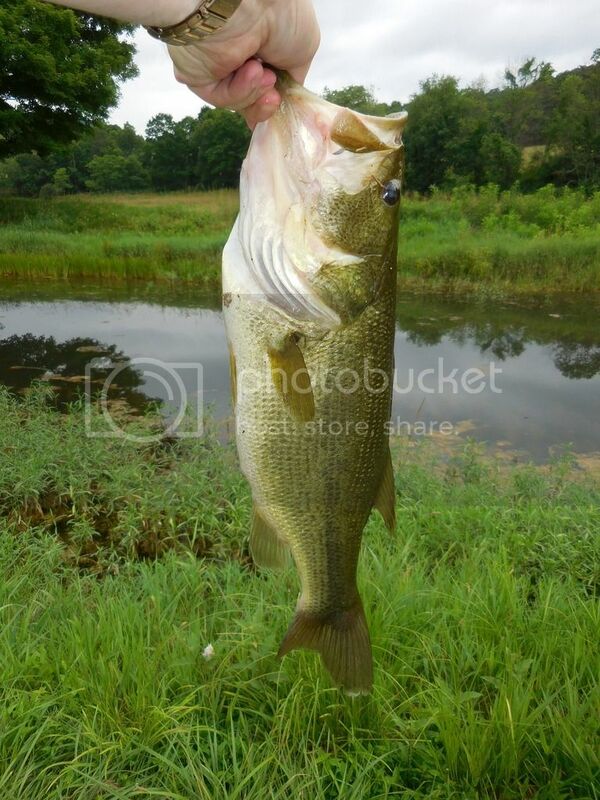 The landowner said that the pond has some big bass and to use crawdads as he said they love them. I bought some at Wal-Mart and learned how to do the Texas rig from You Tube. So today I went and tried them. Being a very new bass fisherman (I've done some bass fishing in some lakes but haven't been very successful) today was very unusual. The first bass that hit the crawdad was 18 inches! After some pictures, I threw the crawdad back in and the first cast a 19 incher hit it. I could hardly believe how blessed I was today! It was just an awesome morning! After they stopped hitting down below I noticed they were hitting the top water so I put on a frog with the spinning legs and had a large one hit that and finally threw the hook just when he reached the shore. It was till exciting to see him though! A day like that will really put a smile on your face and boost the outlook on life. Congrats on a great day! That's what would call a "Honey Hole". We call them craw worms around here....soft plastics in the form of a crawdad. One of my favorite baits for a texas rig. Go buy some senko style baits and give them a try. Just twitch them up and let them fall. Several brands have them, Yum Dingers, Senko's, Tikki Stiks. These can be rigged texas rigged without a weight (my favorite), or wacky style. In shallow water 10' or so or less, these are among my favorite soft plastics. Flukes are also hard to beat. Just tie on a wide gap worm hook, put the fluke on, and twitch it back to you. Big bass will slam them! Sounds like you had a great day at the pond . Oh man, you are "hooked" now. Congrats on the bass. Congrats!! Bass fishing can be a real blast!! 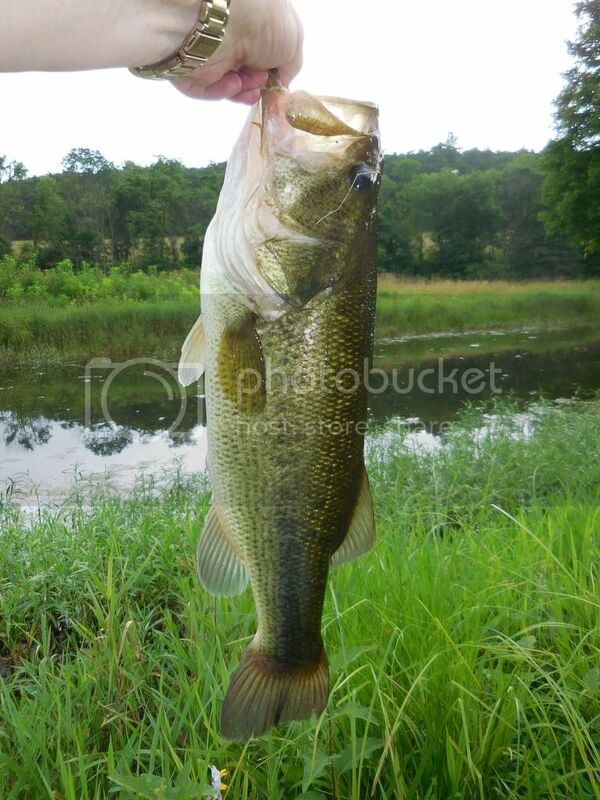 It want take you long to get hooked on that bass fishing...as Russ says you've got yourself a honey hole. Pond fishing for bass can be real fun. Glad to see you out and enjoying the outdoors. Someone asked the other day where I caught them. I said in the water in a pond. Getting the hint they then asked, "In the eastern United States?" I said close enough! How was that response?